(VIDEO) TMs King Carl XVI Gustaf and Queen Silvia of Sweden Host a Gala Dinner. 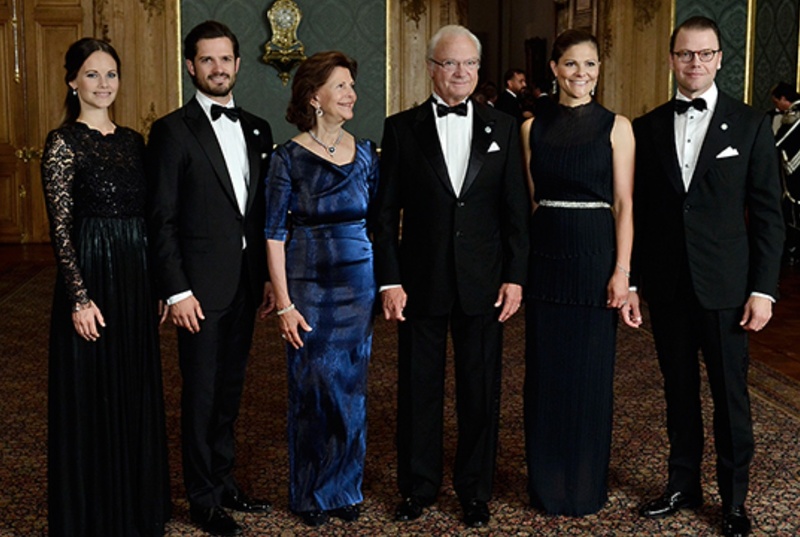 On the evening of Friday, September 16, 2016, Their Majesties King Carl XVI Gustaf and Queen Silvia of Sweden accompanied by Their Royal Highnesses Crown Princess Victoria and Prince Daniel of Sweden and Their Royal Highnesses Prince Carl Philip and Princess Sofia of Sweden hosted the 2016 Sverigemiddag (Sweden Dinner) held at the Kungliga Slottet in Stockholm. The gala dinner is held in honor of “…individuals who have made significant efforts locally, regionally or nationally. Invited guests included representatives from the culture, business, education, sports and club activities from Sweden’s 21 counties and county governors…” according to the Swedish royal court. (VIDEO) TRHs The Duke and Duchess of Cambridge Visit a School in Harlow, Essex. On Friday, September 16, 2016, Their Royal Highnesses The Duke and Duchess of Cambridge visited the Stewards Academy School in Harlow, Essex. The purpose of today’s visit was to learn more about “…the pressures faced by young people when they are going through big changes in their lives, as part of their Heads Together campaign focused on mental health and well-being…” according to AFP News. 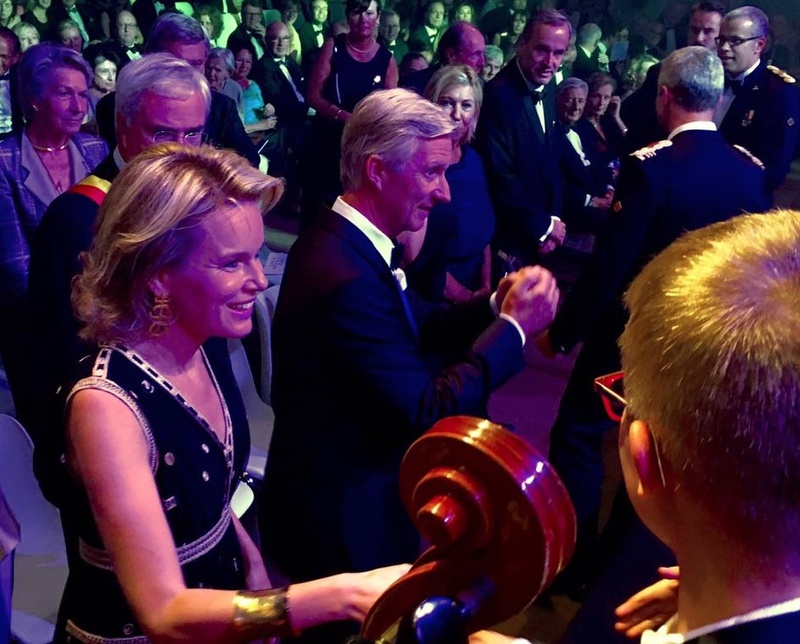 TMs King Philippe and Queen Mathilde of Belgium Attend a Gala Concert. On the evening of Thursday, September 15, 2016, Their Majesties King Philippe and Queen Mathilde of Belgium attended the 10ième Soirée de Gala du Comité de Soutien Flandre Occidentale de la Fondation Roi Baudouin in Jabbeke. (VIDEO) HRH Princess Caroline of Hanover Views an Exhibition at the Galerie Adriano Ribolzi. On Thursday, September 15, 2016, Her Royal Highness Princess Caroline of Hanover arrived at the Galerie Adriano Ribolzi in Monte-Carlo to inaugurate a new exhibition by Mr. Karl Stengel. Mr. Stengel was the winner of the 2015 du Grand Prix International d’Art Contemporain GemlucArt. The 30 piece exhibition will be open to the public until October 8, 2016, at the Galerie Adriano Ribolzi.